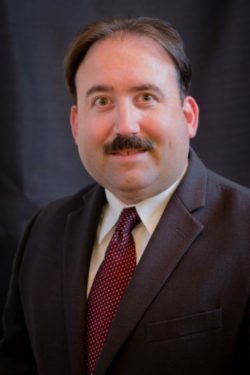 Davis County Hospital (DCH) is pleased to announce the addition of Christopher Hickie to their Information Technology (IT) Department, serving as the new Director of Information Technology. Christopher comes to Davis County Hospital with 18 years of extensive and diverse experience in the IT field, most recently from Mahaska Health Partnership in Oskaloosa where he has worked as the Director of Information Technology for the past three years and a Systems Analyst since 2008. Christopher, his wife Dr. Lori Hickie, and 4-year-old daughter Amber are residents of Ottumwa. When he isn’t working, Christopher is a self-proclaimed ‘foodie’ as a four time co-champion of the 25 Men Who Can Cook competition held annually in Ottumwa, does pro-am photography, still learns to play golf, and enjoys spending time with his small family. Christopher will be joining the Davis County Hospital team on September 5th, 2017.